The Investing in African Mining Indaba is widely recognised as a strong indicator of the general health of the international mining sector at the beginning of each year. When attendance is up year-on-year, deals go up and confidence proliferates across the industry. The annual event, held in Cape Town during the first week of February, is the world’s largest mining investment conference and has supported the development of African mining since 1994 – making this year’s Indaba a landmark 25th edition. Reaching this milestone called for an event that would celebrate the role Indaba has played in connecting the industry with Africa while supporting socio-economic development on the continent over the last two and a half decades, but also one that would be bigger and better than all before it. 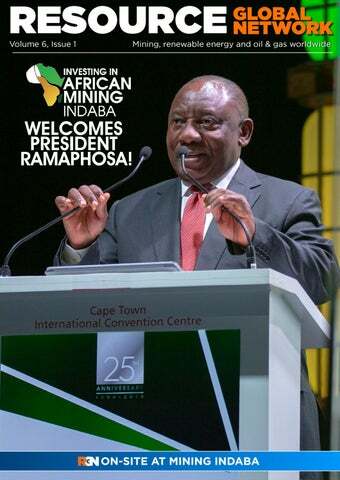 True to its word, Indaba delivered a first-class event in 2019 to over 6,000 delegates from major and junior mining companies, service providers and investors, along with a bigger than ever governmental presence that was capped by South African President Cyril Ramaphosa’s formal address to the industry. RGN is an exclusive media partner with the event organisers and attended the landmark 2019 Indaba in Cape Town. This issue offers a full review of the event, on-site interviews and a host of profiles on miners with exploration projects and producing assets across Africa. Many of our feature companies figured heavily in this year’s Indaba, including South African vanadium producer Bushveld Minerals, Investment Battlefield finalists Prospect Resources and Theta Gold Mines, plus West African gold explorer Cardinal Resources. You can explore their stories in the following pages. Everyone at RGN would like to say thank you and congratulations to Indaba for a fantastic 25th anniversary event. Here’s to another quarter century of championing Africa’s sustainable economic development! MINING INDABA OFFICIALLY OPENS MARKET TRADING ON LSE Investing in African Mining Indaba officially opened trading on the London Stock Exchange (LSE) on Friday January 11th, ahead of its landmark 25th anniversary event in the first week of February. The market was opened by Mark Shashoua, CEO of ITE Group plc, which acquired Mining Indaba for around £30 million in October as part of its strategy to build a portfolio of world-class, large scale events. “I am delighted to be opening the LSE today with the Mining Indaba team, which ITE Group recently acquired, and with our industry partners and friends,” said Shashoua. “Mining Indaba is a fantastic event that is dedicated to developing the mining industry across the African continent and it also further cements our partnership with the LSE Group.” The proceedings were also attended by members of the Mining Indaba team, including managing director Alex Grose, who was presented with a plaque to commemorate the opening of the market. “This ceremony further cements our partnership with the LSE Group, supporting our main aim of helping mining companies access capital,” said Grose. NEWMONT BECOMES WORLD’S BIGGEST GOLD FIRM THROUGH $10 BILLION GOLDCORP PURCHASE Newmont Mining Corp will acquire Canadian rival Goldcorp in a deal valued at US$10 billion which will create the world’s biggest gold producer by output. The share-based deal brings together two giants of the global gold sector who produced a combined 7.9 million ounces (Moz) of gold in 2017. The combined outfit, named Newmont Goldcorp, will operate across the Americas, Australia and Ghana, tapping into the world’s largest gold reserves and resources, the companies said. Goldcorp’s CEO David Garofalo said: “The strategic rationale for combining Goldcorp with Newmont is powerfully compelling on many levels.” Meanwhile, Newmont’s chief executive Gary Goldberg will lead the combined company, following a strategy that he said will realise the full value of the merger. The plan involves asset divestments of between $1-1.5 billion over the next two years in order to optimise gold production to 6-7Moz annually over the next 10 years. The deal closely follows the completion of the $18 billion-valued Barrick GoldRandgold Resources mega-merger, which has drastically altered the composition of the global gold mining sector with further large M&A deals expected over 2019. VALE TO SLASH PRODUCTION AS FIVE ARRESTED IN WAKE OF BRAZIL DISASTER Vale will take up to 10% of its output offline to decommission 10 dams similar to the one that burst on Friday January 25th in the Brazilian town of Brumadinho, killing at least 84 people with hundreds still missing. The decision to cut production was announced by Vale’s chief executive Fabio Schvartsman as the company faces up to its appalling recent safety record, following the second fatal dam collapse in Brazil in just over three years. The move is expected to cost Vale US$1.3 billion over the next three years and will involve suspending operations at mines producing 40 million tonnes of iron ore and 11 million tonnes of pellets per year. News of Vale’s output cuts sent metal prices soaring along with the share prices of its rival miners, including BHP, Rio Tinto and Fortescue Metals Group. Chinese iron ore futures jumped in early trade on Wednesday, while Australia’s benchmark metals and mining index had its best day in two years. Meanwhile, Brazilian police carried out five arrests in São Paulo and Belo Horizonte as a criminal investigation begins into the causes of the dam collapse at the Feijao mine. Police arrested three Vale employees and two engineers from German auditor firm TUV SUD. MAJOR OIL & GAS DISCOVERY A GAME-CHANGER, SAYS SA PRESIDENT RAMAPHOSA South Africa’s President Cyril Ramaphosa has described an offshore oil and gas discovery as a potential game-changer for the nation’s future energy security. In early February, French oil major Total announced that it had opened a ‘world-class’ oil and gas province off the coast of Mossel Bay at its Brulpadda block in the Outeniqua Basin. Other partners in the consortium include Qatar Petroleum, Canadian Natural Resources and Main Street. Ramaphosa was quick to comment on the discovery in his state of the nation (Sona) address on Thursday: “We are extremely encouraged by the report this morning about the Brulpadda block in the Outeniqua Basin, which some have described as a catalytic find,” he said. “We congratulate Total and its various partners and wish them well in their endeavours. Government will continue to develop legislation for the sector so that it is properly regulated for the interests of all concerned,” he added. The Brulpadda find is primarily gascondensate and has been estimated at about 1 billion barrels by operator Total ASA, which could be enough to supply South Africa’s refineries for almost four years. On the eve of its landmark 25th anniversary, the Investing in African in African Mining Indaba promised an event that would be bigger and better than ever before in 2019. This seemed like a tall order considering the Indaba is already the world’s largest mining investment conference, however the organisers delivered a truly first-class event that married exciting new initiatives with a star-studded cast of industry giants and governmental ministers in the beautiful Cape Town surroundings. Around 6,000 delegates flocked to the event over the course of the week, many of whom came to see South Africa’s President Cyril Ramaphosa formally address the industry – the first time a sitting president had ever taken to the podium at the Indaba. Ghana’s President Nana AkufoAddo also took to the stage at the event along with 37 ministers of state from across the continent, giving the Indaba a governmental presence matched by no other industry conference. what they need to do,â&#x20AC;? he said. to climate change, sustainable mining and battery metals. government, the workforce and communities. can ensure a sustainable mining industry,” Ramaphosa concluded. anniversary party in the evening. panel ahead of the crucial final decision. largest hard rock lithium project. the heart of digital mining in the future’. Nakedi and Bushveld Minerals CEO Fortune Mojapelo. everything else we try to do, the new features we’re currently developing are set to further improve our clients’ experience. investors and companies,” concluded Grose. In the build-up to the 2019 Investing in African Mining Indaba, its organisers identified a number of key themes that would be explored throughout the landmark 25th anniversary event. One of the themes high on the agenda was women in mining, after Mining Indaba came out in support of a move to a more diverse future in the sector. As well as incorporating a number of interesting sessions on gender diversity in mining, the event also pledged to include at least one female in each panel discussion. Mining Indaba also partnered with three organisations advocating women in mining, including Women in Mining South Africa (WiMSA). During the event RGN’s editor Jacob Ambrose Willson caught up with WiMSA’s current chair Thabile Makgala to discuss her own personal experiences as a woman in South Africa’s mining industry, as well as the work WiMSA does to support female miners. Jacob Ambrose Willson: To start, can you tell me about your own experiences as a woman building a successful career in South Africa’s mining industry? THABILE MAKGALA Thabile Makgala is the executive: mining at Implats. Prior to joining Implats, Thabile held various senior positions at Gold Fields, AngloGold Ashanti and Anglo American. In 2018, she was selected as one of the “Top 100 Global Inspirational Women in Mining” worldwide. Thabile is the current chairperson of Women in Mining South Africa and made history by being the first female mining engineer graduate at Gold fields’ Kloof and Driefontein division (Now Sibanye Gold). In recognition of her vision, leadership and achievements, Thabile was requested by Mining Indaba to present at various platforms on topics of women empowerment in business and the need for change in business by harnessing the potential of women in South Africa. Thabile is passionate about mining, transformation and the advancement of the industry through harnessing technology and innovation. been promoting itself at the event? Indaba’s women in mining theme. we have done it very well previously. panel, but two or three women per panel. women in the mining industry. key part of your plans this year? the best for the year ahead. At the 2019 Investing in African Mining Indaba, the International Council on Mining and Metals (ICMM) hosted an event called Innovations in Mine Closure, in partnership with World Bank and Intergovernmental Forum (IGF). The session was scheduled to coincide with the launch of ICMM’s new Integrated Mine Closure: Good Practice Guide, as part of its drive to encourage and facilitate best practice on planning for and implementing effective mine closure in the mining industry. RGN caught up with ICMM’s chief operating officer Aidan Davy to discuss the guidance, the Mining Indaba and the organisation’s strategy in 2019 and beyond. that our members can publicly commit to. That defines clear performance expectations across 38 performance areas that are grouped under our 10 principles for sustainable development. Over the next few months we will be finalising the guidance on assurance and validation for the performance expectations. We believe they represent the most farreaching initiative to advance environmental and social performance within the mining industry, because they will apply to roughly 650 operational assets of our member countries in over 50 countries. That represents a very significant chunk of the world’s major commodities. JAW: Earlier this week at the Mining Indaba, you took part in a session on developing mines of the future through sustainability-driven innovation. What were the key dimensions of this discussion? changes to its performance expectations. avoidance technology much more widely available to mining companies by 2025.
stakeholders to discuss various topics? products. I think the other point is that in the past we have often regarded a report launch as a the event. promote the guidance on an iterative basis. things is critically important. We will try to sustain that focus and continue to promote this work through social media on an ongoing basis. now needed to integrate this into implementation. point in time. We want to make sure we are actively engaged across new policy development and aim to fill any gaps in good practice guides. institutions of government for closure. other issues we will deal with. narrative that this is a legacy of a bygone era and we have moved on. and international institutions to take leadership on. But, to an extent we can play a supporting role by helping to leverage the involvement of the private sector. JAW: What areas will ICMM be focusing on in 2019 and what can we expect from the organisation over the year? Thomas Hillig is the founder and managing director of THEnergy, a boutique consultancy established in 2013 focusing on microgrids/mini-grids and off-grid renewable energy. For industrial companies, THEnergy develops energy concepts and shows how to become more sustainable – combining experience from conventional and renewable energy with industry knowledge in consulting. THEnergy also advises investors and energy companies regarding renewable energy opportunities in rapidly changing markets. The initial focus was on commercial and industrial off-grid renewable energy projects, for example in mining, hospitality, telecommunications or on islands. Driven by investor needs, corporate PPAs, rural electrification and energy access have become additional consulting focuses. THEnergy has led several large-scale due diligence processes in rural electrification. In hybrid-systems without energy storage, renewables typically do not contribute to more than 15-20% of the total energy generation. markets – increase the trust in renewable energy off-grid solutions. employees to qualify for further management facilitate their dismantling and redeployment challenges. handling, pumping, crushing and milling. energy cost savings of 5-10%. typically is still rather low. Electrification of mines As renewables play a more important role in mining and falling energy storage prices lead to higher renewable energy penetration rates it is important to mention, that mines normally have significant energy consumption beyond electricity. Electrification of mining vehicles could significantly contribute to make mines more sustainable. Electric battery or cableconnected mining vehicles could be used in open-pit, but also in underground mining. Outlook Renewables for African mines are still in an early phase of their development, but it can be expected that in the next years, dozens of new renewable energy projects will be implemented at mines in Africa probably not only hybrid projects, but also solar and wind projects for grid-connected mines that want to source renewable energy through PPAs. Legislation changes that are expected for South Africa might boost this development. optimal design of the PV plant. Avoided or shifted energy consumption allows for designing the PV plant in an optimal way. Often the integrated solution decreases the amount of capital expenditure needed for upgrading existing diesel gensets with solar power considerably. the economic and social returns. Julia is a strategic communications and stakeholder engagement expert. She is experienced at advising industry executives and ministers to identify opportunity, manage risk and overcome highly sensitive strategic challenges in the mining sector. Latterly she has advised on these areas for several multinational mining companies and public institutions including the Ministry of Mines Malawi, Ministry of Mining Kenya, and the Extractive Industries Transparency Initiative (EITI) Secretariat in Mongolia. Julia is responsible for Adam Smith Internationalâ&#x20AC;&#x2122;s mining and energy portfolio and has led programmes on behalf of the World Bank, DFID and the Australian Government. Julia holds an MSc in Global Governance and Ethics from University College London (UCL) and an MBA in International Mineral Resource Management from the Centre for Energy, Petroleum and Mineral Law and Policy (CEPMLP), University of Dundee. as a core competence and business priority. benefits, unlike a collaborative approach. impact for both the company and society. Long-term partnerships are tricky however. by all partners of the shared value principles. with or without the partnership. benefit from participation in the partnership and that these benefits are embraced. action are likely to be more effective. their economic importance and supply risk. MICHAEL CRONWRIGHT Michael is the critical metals principal consultant at the MSA Group. He has 19 yearsâ&#x20AC;&#x2122; experience in African geology and exploration across a variety of commodities and significant exploration project management experience. He is a QP/CP in lithium, tin and columbo-tantalite. Michael has a M.Sc. in Exploration Geology from Rhodes University with a dissertation reviewing the pegmatites of the Alto Ligonha Pegamatite Province in Northern Mozambique. He started his career at the Council for Geoscience in 1999 where he was involved in World Bank mapping projects in Mozambique and Madagascar. In 2006 he moved into the geological consulting industry and since 2013 has been with The MSA Group. cities like Mexico City, Paris and London. lithium potential by junior exploration companies from London, Toronto and Perth. for the Chinese market and is also looking at producing lithium carbonate in country rather than exporting a mineral concentrate. This is a trend we’ll probably be seeing a lot more of particularly with some of the more isolated projects with access to power. MSA is also seeing many junior exploration companies getting involved in projects with the view to be able to produce in the short term and provide returns to their shareholders. They are probably better described as junior miners. There are numerous other lithium projects through Africa including the old tin mines at Kamativi and Manono, the pegmatites of the Alto Ligonha Pegmatite Province in Mozambique, the Northern Cape pegmatites, the pegmatite belts in Ghana, Nigeria, and Cote d’Ivoire. Many of the Chinese lithium convertors have also taken positions in many of these projects. of old tailings dumps, examples being the lithium-bearing tailings at Kamativi and Uis. produce lithium concentrate as a by-product. is currently in the process of doing). has attracted a lot of interest from juniors. and also a focus on metals like nickel. produce a saleable product at a lower cost compared to other projects. and be a catalyst in the emerging energy storage industry. trademark vanadium product, Nitrovan® as well as modified vanadium oxide (MVO). mineralisation seen at the Vametco Mine. and/or elsewhere in the world. electrolyte to store energy, this allows for near unlimited recharging (or cycling), easy scaling by just adding more electrolyte and negligible performance deterioration over long periods of time. Resource Global Network As a result, for daily energy storage of a few hours or more, flow batteries provide the most cost-effective means to store energy. The advantage of vanadium, lies in its ability to exist in four different oxidation states and its water-solubility, allowing for a simpler battery with fewer inputs and no flammable elements. Having said that, Mojapelo points out that the most common question about VRFBs is how they compare to lithium-ion battery technology. “There is no clear superiority, with use cases and site requirements often determining the optimal solution. VRFBs and Lithium-ion are non-competing technologies,” he says. “Nonetheless, Bushveld has seen the global deployment of VRFBs increase year-on-year and has made significant progress defining the energy storage market opportunity, building industry awareness for VRFB and developing a business model for Bushveld Energy. “The business model is anchored in Bushveld Minerals’ low-cost production platform and smart partnerships along the VRFB value chain.” One such relationship is with UniEnergy Technologies (UET), a US-based manufacturer of turn-key, large and mediumscale energy storage systems for utility, micro-grid, commercial, industrial and other applications. of South Africa-mined and beneficiated vanadium in VRFBs. logical base for VRFB manufacturing. into electrolyte and assembling VRFBs locally. the lively VRFB technology sector. this criterion in South Africa.â&#x20AC;? Africaâ&#x20AC;&#x2122;s emerging energy storage industry. MINING | Consolidated Nickel Mines to uneconomic operations when the nickel price fell in 2008. Munali for a four-year period. representing about 33% of the company.â&#x20AC;? African mining and is close to completing a copper-cobalt refinery in the DRC. For over 30 years, The Highland Group has delivered sustainable performance improvements in mining operations around the world. concentrate targeted for 2020 and onwards. addition to the infrastructure at Munali. the end of the year,” Purkiss reveals. credentials that we can draw from. fairly low throughout the rural region. during its first year of production since 2011.
mines across the Southern Africa region. Theta Hill The company is focusing its efforts on the Theta Hill deposit within the Pilgrim’s Rest claim and has recently completed a scoping study on the project, which defined a 4.5Mt resource at 4.14 g/t Au for 600,000 oz (85% Inferred) and confirmed the potential low cost of the development and operation. circuit tanks, and the upgrade of the elution circuit and gold room. offices, stores, workshops and weigh bridge. these numbers in its feasibility study due in the first quarter of 2019.
to three years of production. scheduled at Vaalhoek for the same purpose. production target of +100,000 oz per annum. remaining 43 historical mine sites,” Guy adds. South African mining – on the mend? having many advantages over its neighbours. in communities surrounding the TGME. threshold to remain at that level. been held on the company’s mining claims at Pilgrims Rest for the last 21 years. “The event attracts a large number of tourists but is primarily a family day with races and events taking place. Overall, the Panning Championships has a very positive affect on the local economy,” says Guy. method for the Theta Hill project. footprint and the cost of earth works too. set to arrive in early 2019 when the feasibility study is published. Ltd, the former licence owner. Yanfolila, which should be within the course of the year. efforts in Mali near the Yanfolila mine? facilities as it anticipates further reserve growth? MINING | Hummingbird Resources for their exploration campaign. Bert Monro, Hummingbird’s head of business development, sits on Cora Gold’s board and is there to lend his extensive experience in the sector. JAW: How much of a priority will the development of the Dugbe gold project in Liberia be in 2019? DB: The Dugbe Gold Project currently has a gold resource of 4.2Moz, so it’s a significant asset and one of real value to Hummingbird. The Dugbe Mineral Development Agreement (MDA) is now going through the final phase of approval from the Liberian Government. Once this is complete, we will be able to consider our next steps for the project. JAW: The partnership with Cora (who are also active in Senegal), along with Hummingbird’s own assets in Mali and Liberia, shows a real commitment to West Africa’s gold industry. What can you say about West Africa as an investment jurisdiction and as a world-class gold hub? DB: West Africa has been a prosperous and important part of Hummingbird’s success. We’re proud of our in-country relations and what we’ve achieved in the region to date. While we do look at a broad range of projects globally, the region speaks for itself as a prolific gold exploration and production area. Ultimately for us though, it’s about finding the right project for Hummingbird, which comes down to our experience and strengths. Capital Drilling, a leading full service drilling provider in Africa, is proud to partner with Hummingbird Resources to deliver their drilling projects in Mali. From greenfields exploration to mine site drilling requirements, Capital Drilling has one of the largest diversified drill fleets across Africa. We can mobilise quickly from our extensive network of offices located throughout Africa. Resource Global Network JAW: Hummingbird undertook a targeted year-round local community beneficiation programme in 2018, which involved creating employment opportunities for local women and clean water initiatives amongst other areas. What will the company focus on in 2019 as part of its approach to responsible mining? DB: Last year’s far-reaching responsible mining projects were carried out successfully and we’ll be setting ourselves the same ambitious goals for 2019. The programme has not been published yet but continues our focus on water and sanitation, agriculture, local employment, education and crucially, health. The latter in particular is hugely significant to us and I’m pleased that we’ll be continuing our partnership with Critical Care International (CCI) to deliver an incredibly high standard of healthcare to the mine and local communities. JAW: Finally, if the main priority for Hummingbird last year was consolidation, what is the stand-out objective for 2019? DB: The plan for 2019 is to focus on achieving production guidance and completing the second ball mill project to time and budget. Together with further positive exploration results, we would hope to establish ourselves as a mid-tier mining company in 2019. Africa prior to leading Indiana in Mali. Indiana,” says chief executive Chris van Wijk. FULL SERVICE DRILLING SOLUTIONS FOR AFRICA From greenfields exploration to mine site drilling requirements, Capital Drilling has one of the largest diversified drill fleets across Africa. Senegal, owned by Teranga Gold. go into production,” van Wijk explains. such, Mali’s geological pedigree is in no doubt considering the calibre of multinationals invested in the sector. Fekola and Hummingbird Resources’ Yanfolila into doubt in certain quarters after security mines. poorer) North of the country. by around 4,000 metres of drilling. camp, along with its own vehicles and drivers. 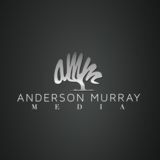 hold a 16% stake in the project. “We are not looking to build mines, we are looking to get those assets to a point where they are sale or JV ready.” Meanwhile, the government is still embroiled in a two-year long tax dispute with Barrick Gold’s Acacia Mining, therefore until this major conflict is resolved Indiana feels that the picture surrounding Ntaka Hill will not get any clearer. “We are confident that we will get our tenure back at some point and the ultimate plan for the Ntaka Hill licence is to partner it. Once again, we are not looking to build mines, we are looking to get those assets to a point where they are sale or JV ready,” says van Wijk. This brings us back to Indiana’s long-term goal of building enticing land packages in prospective mineral belts that would eventually attract the interest of the majors. In the short term, the company plans to continue consolidating its Mali licences and is quietly hopeful that a consensus will be reached in Tanzania’s mining sector. increase royalty taxes on the mining sector. and introduced a new 10% tax when the price of copper exceeds US$7,500 per tonne. another FQM asset - the Sentinel Mine. network that Midnight Sun can leverage off, as previously alluded to by Fabbro. the far North of the known Mitu trend. be our next foray at 22 Zone. Midnight Sun has also identified a new potential zone located between Mitu and 22 Zone that looks very attractive, according to Fabbro. “We are going do some work there aimed at developing drill targets as a third priority behind Mitu and 22 Zone.” Casting his eyes towards the horizon, Fabbro maintains a flexible stance on the prospect of Midnight Sun ultimately developing a copper mine on the Solwezi licences. “If we do get to a production decision, we recognise we would have to bring in a whole set of people with different skillsets, which is definitely achievable. “However, our intention is to create an asset that a senior mining company would want to own. Ultimately our goal is to maximise the value to Midnight Sun and its shareholders, whatever form that takes.” Returning to the present, Midnight Sun’s acting CEO concludes by reasserting his confidence in Zambia’s new Copperbelt region. “With a bit of luck, we could be the story of the year for 2019.” If the deposits surrounding the Solwezi licences are anything “Once we learn and understand the structural to go by, this could well be the case. control, we will be more comfortable at Mitu and I think the geophysics will really help. One of the first steps in proving an ore body is understanding the structural controls,” Fabbro reasons. from a 2014 pre-feasibility study. an import replacement play, says Wood. We have the process design, engineering, procurement and contruction management expertise required to deliver solutions for your project. Logistically speaking, from the project’s central location potential offtakers could in the Southwest and Port Harcourt in the Southeast. In this scenario, Kogi Iron can truck its steel product down to these regions, as opposed to having to barge iron ore down a river before loading it onto a narrow gauge railway to eventually reach Warri Port. In addition, the integrated project would operate inside the Nigerian Tariff Barrier which is a major plus for the firm. Since deciding to pivot towards integrated steel production, Kogi Iron has carried out a number of tests on its iron ore to determine its suitability for the manufacturing of international quality steel products. because we have our own supplies. there will be no shortage of demand for the company’s higher quality material. second listing on an international exchange. would be a conceivable path to market and liquidity for us,” he adds. Kogi State and to the Nigerian economy. advancing a project that will support Nigerian industry and Nigerian people. APPOINTMENTS Petra Diamonds names Richard Duffy as new chief executive African miner Petra Diamonds has appointed a new chief executive to lead a debt-cutting and free cash flow-generating strategy, after lower diamond prices hit the company’s first-half core earnings. Richard Duffy has held various finance posts in his 27 years in the mining industry, including with Anglo American and AngloGold Ashanti. “The focus to generate free cash flow remains paramount for the company,” said outgoing CEO Johan Dippenaar. Suresh Kalathil appointed senior VP and COO of Guyana Goldfields Canada-based gold producer Guyana Goldfields has confirmed the appointment of Suresh Kalathil as its senior VP and COO, effective March 1st. Kalathil is a mining engineer with over 25 years of experience working in open pit and underground operations around the world. “Suresh will be a great addition to our team,” said Guyana’s president and CEO Scott Caldwell. Karen Wood to become latest chairperson of South32 Female representation within corporate Australia has been boosted by the news that Karen Wood will become the next chairperson of miner South32. Outgoing chair David Crawford called described the appointment of Wood to lead the South32 board as ‘an excellent choice’. The election of Wood further swells the number of women at the top rungs of Australian mining companies, with Elizabeth Gaines the current CEO of Fortescue Metals Group. Nemaska Lithium selects new vice president, operations Robert Beaulieu has been appointed new vice president, operations at Nemaska Lithium, as the Canadian miner approaches a key turning point in its history. Beaulieu has been overseeing the construction and operations readiness work that will lead to the commissioning of the Whabouchi mine and the Shawinigan electrochemical plant. “We are truly pleased to welcome Robert to Nemaska Lithium, an incredible talent developed through various Canadian and international experiences,” said president and CEO Guy Bourassa.